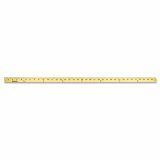 Westcott Wood Yardstick with Metal Ends, 36"
Note: A minimum quantity of 192 must be ordered, and in units of 12 thereafter. Westcott Wood Yardstick with Metal Ends, 36" - Yardstick features fully numerated graduations and flush-length design for easy use. Scaled in 1/8" on both edges. Precision-made of the finest kiln-dried lumber under rigid quality control. Numerals and graduations are sharply delineated and checked for accuracy. A coat of clear lacquer is added for protection and durability. 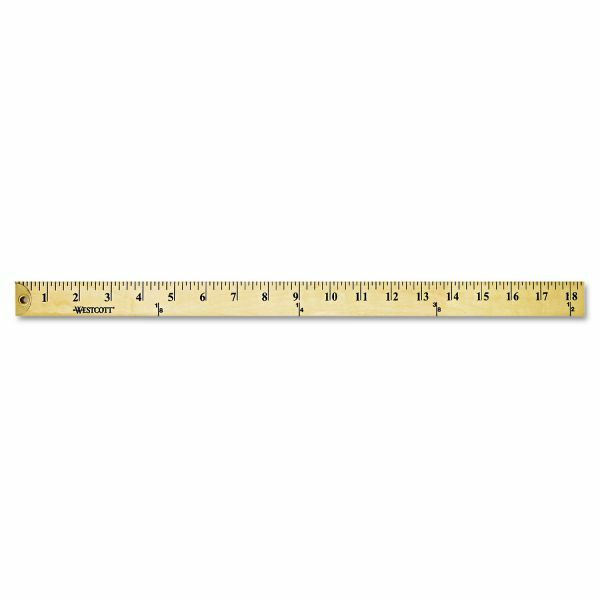 Yardstick has metal ends with a hang hole for easy storage.